The recording project of James Wallace, imagine groovy beats, melodic vocals, psychedelic synths and warped guitars. Playing live with Steve Flack, Mike Litton and Jon Kellett. 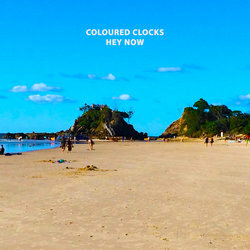 Coloured Clocks will put some whiskey in your water and some mustard in your dinner. Their latest track Hey Now, might about things going on around you, while not really feeling included. However, the meaning is up to you, the listener. Imagine a catchy vocal hook, chorused guitars, snappy snares and handclaps, a funky bridge, flanged backing vocals and a groovy outro.